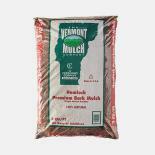 The price of our bags of mulch is determined by how many you buy. We have an each price, a price if you buy 5 and a price if you buy 9 or more. On-line we only list the 9 or more price. With our stone products the price is either a single bag price or a 5 or more price. WE DO NOT STACK DELIVERIES OF PRODUCTS/BAGS. DELIVERY CHARGE INCLUDES DUMPING ONLY. 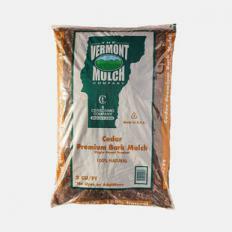 Natural, dye free cedar mulch form Vermont and Canada. For all flower and shrubbery beds. Helps keep plants moist and prevents weeds. Medium dark brown, natural color. 3 cubic foot bags. COVERS: 9 bags of 3cu.ft. are equal to 1 cubic yard. 1 cubic yard covers appox. 100sq.ft. at 3" thick. 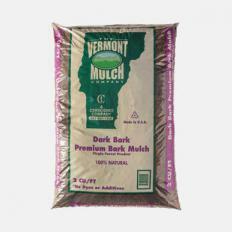 Black dyed cedar mulch form Vermont and Canada. For all flower and shrubbery beds. Helps keep plants moist and prevents weeds. Keeps color for a lot longer than non-dyed mulches. Dye is safe for humans and animals. 2 cubic foot bags COVERS: 13-14 bags of 2cu.ft. are equal to 1 cubic yard. 1 cubic yard covers appox. 100sq.ft. at 3" thick. BLACK Cedar/Blend/Colored/3c.f./ 9 or more bags $4.67$4.44On Sale! 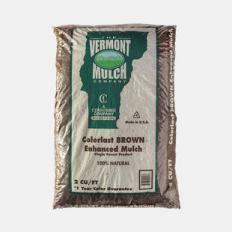 Brown dyed cedar mulch form Vermont and Canada. For all flower and shrubbery beds. Helps keep plants moist and prevents weeds. 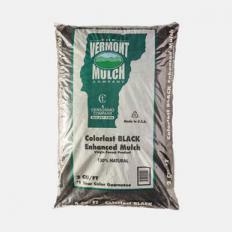 Keeps color for a lot longer than non-dyed mulches. Dye is safe for humans and animals. 2 cubic foot bag. COVERS: 13-14 bags of 2cu.ft. are equal to 1 cubic yard. 1 cubic yard covers appox. 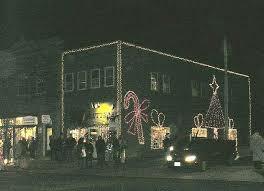 100sq.ft. at 3" thick. BROWN Cedar Blend/Colored 2c.f. bag/9 OR MORE PRICE $4.67$4.44On Sale! RED Cedar/blend/colored/2c.f./ 9 or more. RED Cedar/blend/colored/2c.f./ 9 or more. $4.67$4.44On Sale! A blend of Pine and spruce to make a very fine mulch. This product is composted to darken the color. All natural, 2cu.ft. bags. Dark Bark/Natural/2 c.f./9 or more PRICE $4.67$4.44On Sale! Large pine nugget anywhere from 2-4" in size. Great for any mulching project. Nice dark color. Lasts for years due to the size of the nugget. Great for annual and perennial beds. Very light, completely organic shells from the cocoa bean. Tends to blow a little. It gets beneficial mold that helps plants. All organic product made form composts and manure. One of the most famous products made popular form Martha Stewart. Great soil amendment or mulch. Great for all decorative projects. Small to medium pink carnation Stone. 1 cubic foot bag. Great for all decorative projects. Dull red color small stone. 1/2 cubic foot bag. Price is for 5 or more. Great for all decorative projects. Extra Large light tan stone. 1/2 cubic foot bag. Great for all decorative projects. Large to extra large golden color stone. 1/2 cubic foot bag. Great for all decorative projects. Large natural light tan stone. 1/2 cubic foot bag. Price is for 5 or more. Great for all decorative projects. Medium to large gray colored stone. 1/2 cubic foot bag. Price is for 5 or more. Great for all decorative projects. Very small multi color pea stone. 1/2 cubic foot bag. Great for all decorative projects. Medium to large white stone. 1/2 cubic foot bag. Great for all decorative projects. Small to medium white stone. 1/2 cubic foot bag. Price is for 5 or more. Great for all decorative projects. Small to medium gray to blue driveway stone. 1/2 cubic foot bag. For use in constructing and maintaining brick, patio. cement and paver walks and patios. All pictures are for illustration purposes only and do not always represent the exact item. Not responsible for typographical errors.